With NuCalm, you can leave your next dental appointment feeling rejuvenated, balanced and actually happy you kept your appointment without the use of drugs. NuCalm is a proprietary clinical system that organically calms the brain within minutes. NuCalm leverages the synergistic benefits of four sensory applications: brain nutrients (natural anxiolytic neurotransmitters), CES (FDA-cleared cranial electrotherapy stimulation) to open the brain’s receptors, NeuroAcoustic™ binaural beat software, and black out glasses. This brush has been clinically proven, in independent studies, to out-perform other popular brands of power brushes. The small round brush head easily adapts to hard to reach areas, and the brush head oscillates instead of spinning allowing the brush to sweep along the gum line and in between the teeth. &nbsp;Another feature we just love about this toothbrush is the “Smart guide,” an external timer that starts as soon as you turn on the brush. It allows you to see how long you’re brushing. The average person using a manual toothbrush only brushes for about 30 seconds. All of us SHOULD be brushing for a minimum of 2 minutes, twice a day. Most people who make the switch to this toothbrush report feeling that their teeth are smoother and whiter, also that they feel they have fresher breath that lasts throughout the day. 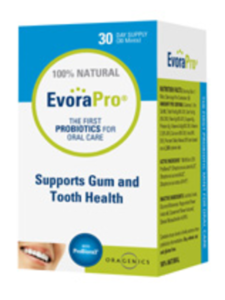 Evora is an oral pro-biotic that is currently only available through dental offices. Most people have heard about pro-biotics being used to improve digestion. Evora uses the same principles to improve the health of the mouth. Problems that occur in the mouth are a result of bad bacteria that cause cavities, periodontal disease, and infection. Evora is a mint that the patient allows to dissolve in their mouth once a day, usually right before bed. These mints contain an extra-strength blend of good, beneficial, bacteria. These bacteria will colonized on the teeth, in all the cracks and crevices of the mouth, and below the gum line, and crowd out the bad, disease causing bacteria. Our office often recommends Evora to patients who are trying to do everything they can to stop the progression of disease in their mouths, whether it is periodontal disease, or if they seem to be prone to cavities. It may also be used in the prevention of disease. As people age, dry mouth becomes more and more of a problem, making individuals more susceptible to cavities. 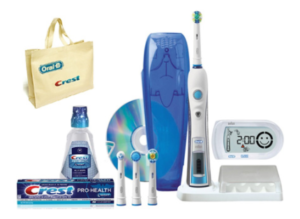 Using Evora can help reduce of cavities, and periodontal disease. Arestin and Atridox are two types of locally applied antibiotics used to treat periodontal disease. Arestin is a Minocycline powder that is placed under the gums using pre-measured cartridges. Atridox is a Doxycycline gel that can be mixed all at once and applied in a larger quantity than Arestin. Both are used for the same reasons. Studies have shown better results in periodontal treatment when using locally applied antibiotics with deep cleaning. These antibiotics are applied directly under the gums to kill any bad bacteria still living in the periodontal pocket after a deep cleaning. It helps the gum tissue heal faster, and more effectively, much like applying Neosporin to a cut on your skin. 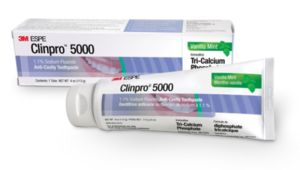 Prescription-strength Clinpro™ 5000 toothpaste is a breakthrough in anti-cavity toothpaste technology. 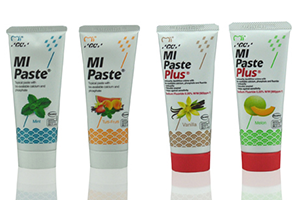 This multi-mineral toothpaste helps strengthen teeth better than regular toothpaste to protect your teeth from decay. Designed to replace your regular toothpaste at home, Clinpro 5000 contains a mild abrasive that gently removes stains to help clean and whiten your teeth. Both snoring and obstructive sleep apnea are caused by a collapse of the soft tissues or the tongue into the airway, blocking it and keeping you from taking a proper breath. 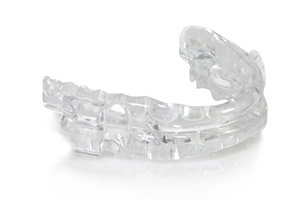 More and more research is showing that oral sleep appliances like the MicrO₂ work amazingly well by gently advancing your lower jaw and keeping it in a slightly forward position. 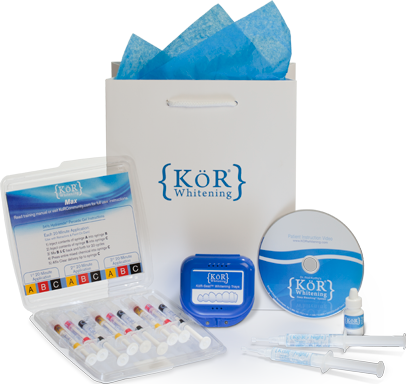 The only products for professional use containing the active ingredient RECALDENT™ (CPP-ACP), a special milk-derived protein that has a unique ability to release bio-available calcium and phosphate (and fluoride in MI Paste Plus) to tooth surfaces. When it comes to maintaining a healthy smile, these key ingredients can make a big difference in overall health. A fruity, effervescent drink that promotes healthy magnesium levels and balances calcium intake—helping you to feel less stressed and more relaxed. Good health is all about balance. A delicate balance must be maintained between the levels of magnesium and calcium in your body—especially at a cellular level. For example, calcium makes muscles contract, while magnesium allows them to relax. Calcium is needed for blood clotting, but magnesium keeps the blood flowing freely. The good news is your body knows exactly how to create this balance—that is, when it has the right amount of these two fundamental nutrients available. Our bodies were designed to obtain the nutrients we need from the food we eat, including plenty of magnesium. Sadly, most of us (an estimated 80 percent) don’t get enough magnesium in our diets, while we often take in an excess of calcium, mainly from dairy products and supplements. Both high-calcium diets and stress-filled lives deplete the magnesium in our bodies even further. That’s where Natural Calm comes in. 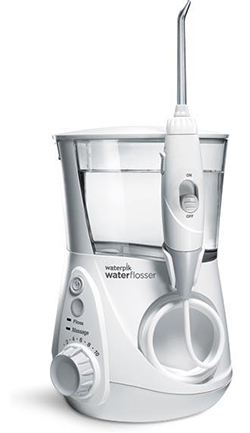 The most advanced water flosser ever, The Waterpik® Water Flosser is clinically proven to be more effective than traditional string floss and Sonicare® Air Floss (Model HX8181) for reducing plaque, gingivitis, and gum disease. And it’s perfect for anyone with braces or implants, and those with crowns, bridges, and veneers. Opalescence tooth whitening gel contains PF (potassium nitrate and fluoride), which helps maintain the health of enamel throughout the whitening process. Chemically activated, so no hot, uncomfortable light is needed. 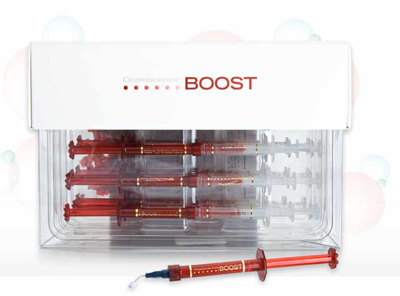 A dentist-applied treatment that provides dramatic results in less than one hour.